Cloud B Dozy Dolphin Discounts Apply ! 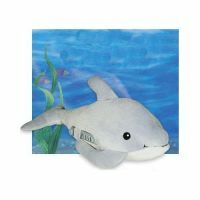 The Dozy Dolphin is made of a naturally Hypoallergenic Bamboo material, meaning it is naturally an anti-bacterial, anti-fungal and anti-static and softer than cotton. Perfect for your child's best friend. Dozy Dolphin plays four different sounds - dolphins playing, harmonious whale songs, a series of melodies to sooth your child to sleep, and calming ocean waves. Simply push a button to select desired sound, and adjust the volume control, and you're ready to go.